EXPERIENCE A NEW WAY TO SHARPEN KNIVES!! Our process has often been imitated but never duplicated. 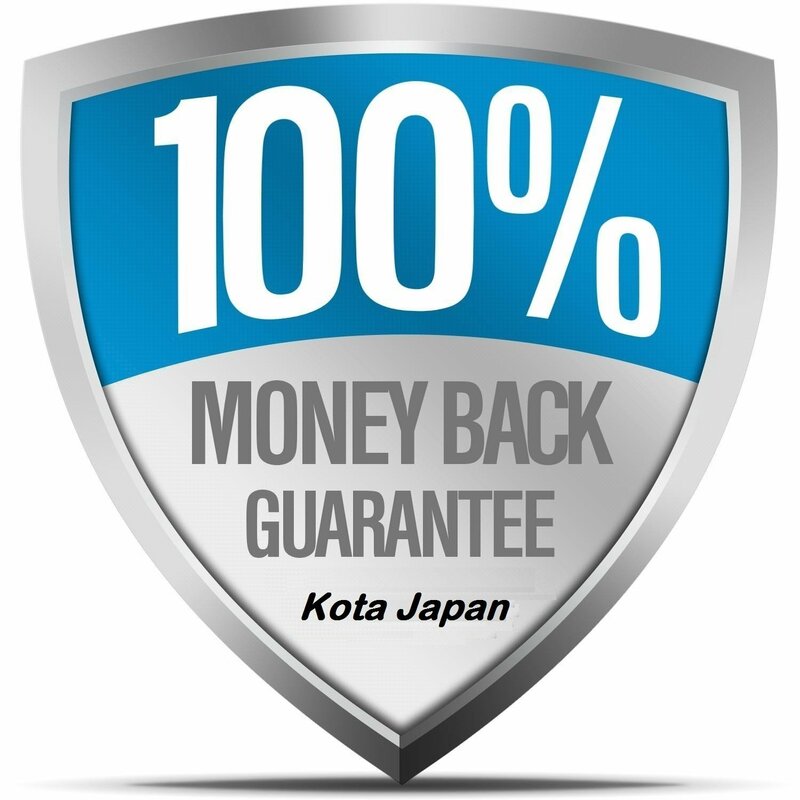 Kota Japan’s unique blend of industrial diamonds combined with our patented bonding process gives you the hardest, most durable, longest lasting surface available. Because of this you are able to easily sharpen carbide, tool steel, titanium, ceramics and most any super hard material including the newer materials being used by most knife manufacturers. Kota Japan manufactures the widest variety of diamond sharpening tools available. This allows you to pick and choose the sharpener that will best serve your needs. No other manufacturer offers the choices we do. We have items for use in the kitchen, shop or field, servicing the outdoor, DIY, machine tool, wood working/wood carving, culinary/food service and other markets. All of our items are proudly Made in the USA. 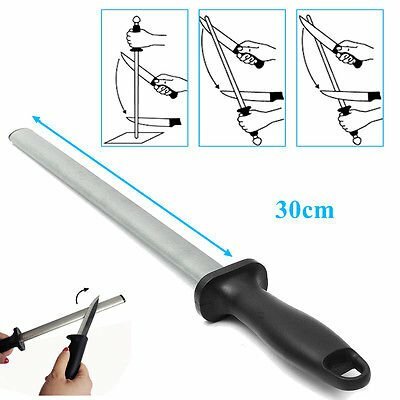 Place the plastic tip of the sharpening rod on a solid surface. Apply lightly downward pressure to avoid slipping during use. Place heel of your blade at the top of the sharpening rod at a 20 degree angle. Sharpen the knife from heel to tip and repeat 2 – 3 times, then turn to the other side of the knife until blade is sharp. Clean the knife with water and dry it after use. Clean the knife sharpener with non-abrasive brush. 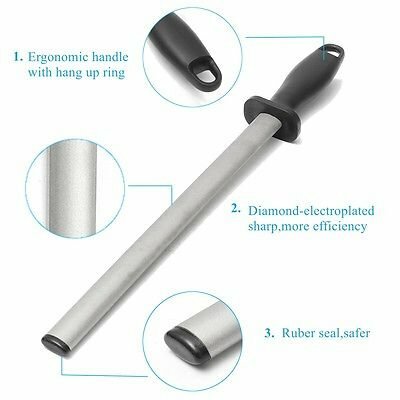 DIAMOND ELECTROPLATING: State-of-the-art manufacturing for precision Kitchen, Home or Hunting blade sharpening. 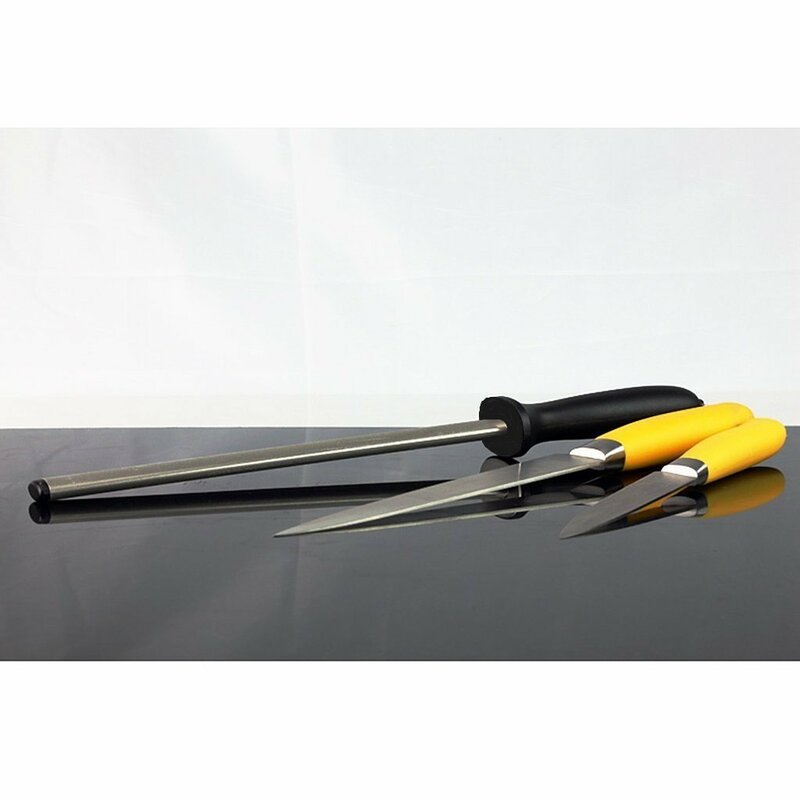 Ensures efficient and sharp sharpening of dull knives and tools. 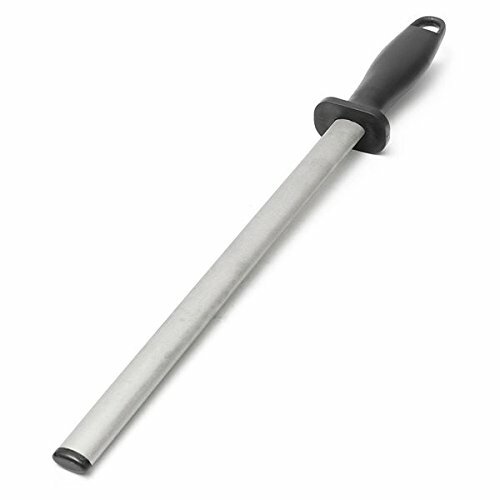 OVAL SHAPE: This knife sharpener rod is designed to ensure higher sharpening efficiency. 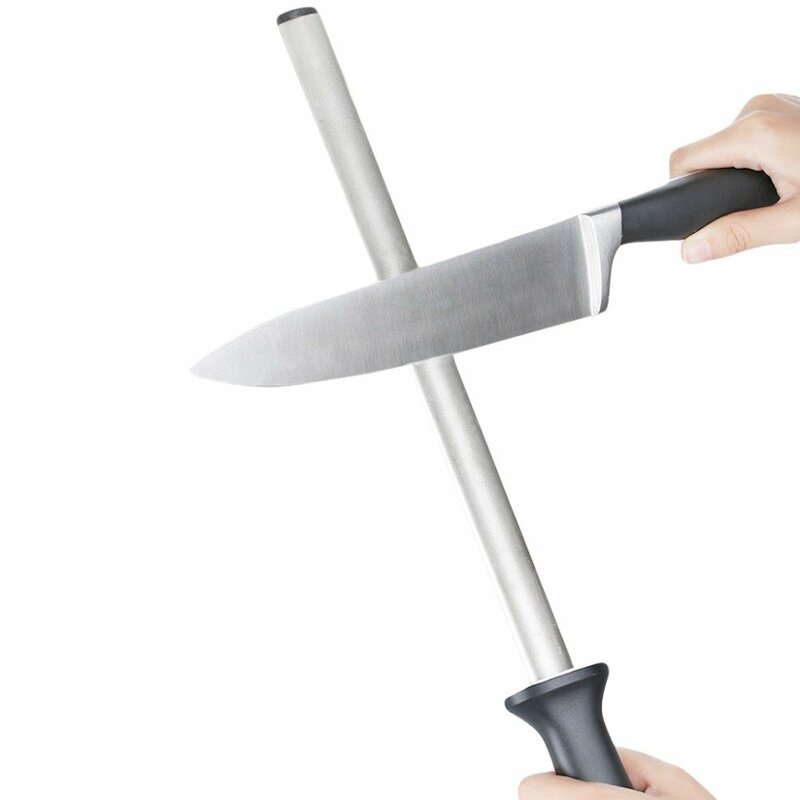 ERGONOMIC HANDLE: Designed for aesthetics and practicality.